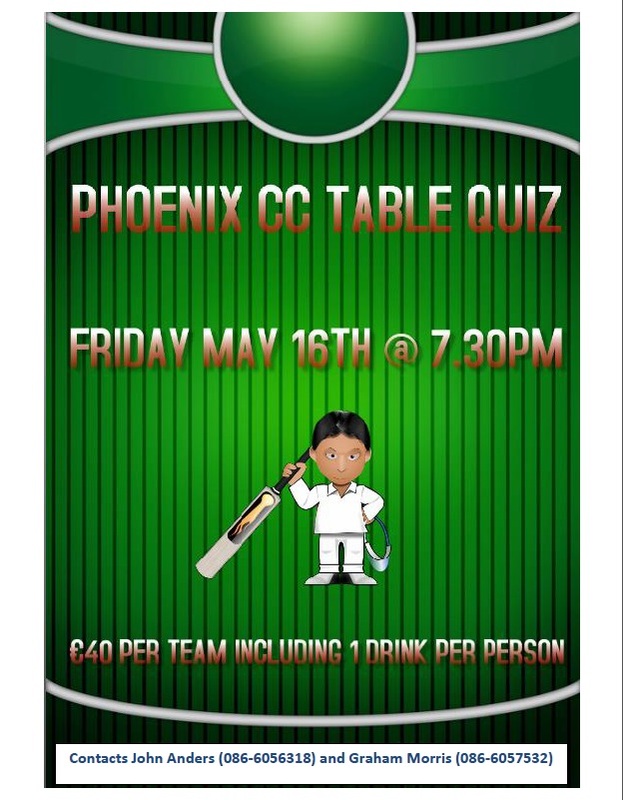 The annual Phoenix quiz will take place this coming Friday in the Park. It will start from 7:30pm and is sure to be a lively affair just like last year. So whether you think you have the excess of knowledge to win it, or just want to enjoy an evening in the club, come on down and get involved!